Natty Greene’s, the patriarch of Greensboro craft beer, is now as much a part of the fabric of Greensboro as its namesake, Nathanael Greene. 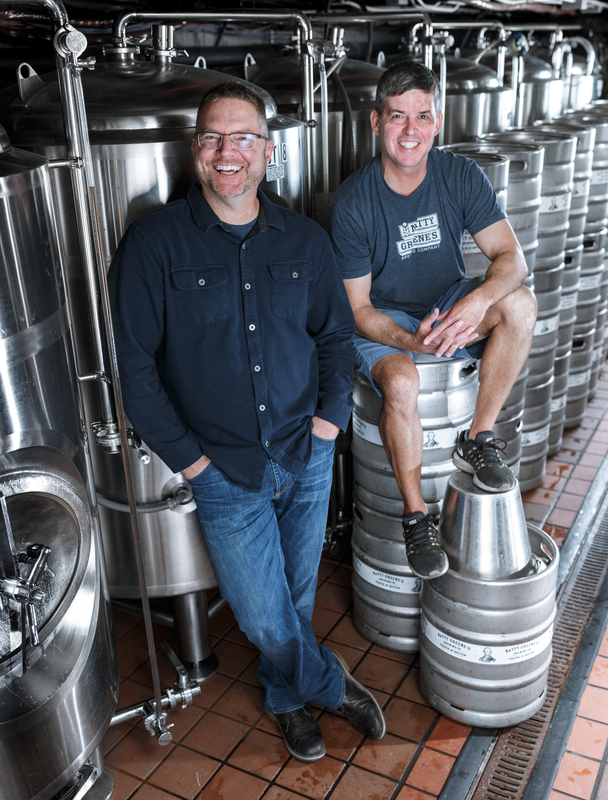 But did you know the idea of Natty Greene’s first began “brewing” at UNC Greensboro in 1988 when Chris Lester, fraternity president, knocked on Kayne Fisher’s door to encourage him to join the fraternity? Chris and Kayne became fast friends, then roommates and eventually co-workers. While working at a beer distributor they began to appreciate micro beers and their thoughts quickly turned to opening a bar of their own one day. 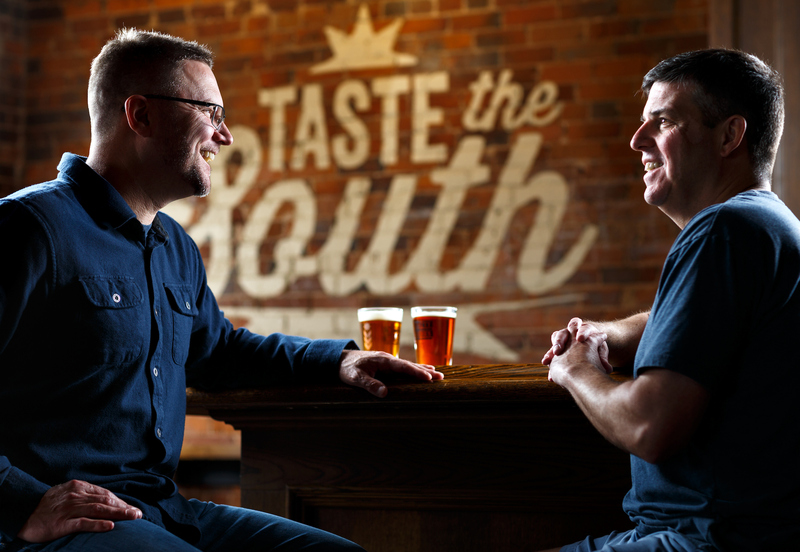 The pair went on to also open the Tap Room in Greensboro and First Street in Winston-Salem. On August, 1, 2004 though, some 16 years after their first meeting, Natty Greene’s opened its doors in downtown Greensboro. “We believed in what we wanted to do. People were really beginning to understand craft beer. Communities around the country were getting behind local breweries and brew pubs and Greensboro grabbed a hold of this concept instantly,” Kayne said. Kayne and Chris were living their dream. Then the Greensboro Grasshoppers opened its downtown stadium in 2005 and asked Natty Greene’s to provide beer at the concessions. Anticipating selling a few kegs during a typical home stand, the Grasshoppers went through 42 kegs that first weekend. “We were literally driving back and forth to the stadium, cleaning and refilling kegs. It’s funny to look back on that weekend now,” added Chris. Since then, Natty Greene’s has seen its brand expand. It’s now sold throughout North Carolina and is in Virginia and South Carolina. “Next up is our Kitchen + Market at Revolution Mill. The Mill will evolve our brand. We are creating a place where you can come and experience the beer, food and history of Natty Greene’s,” Kayne said. The Kitchen + Market is slated to open in Spring 2017and will feature an in-house butcher, restaurant with indoor and outdoor seating, an open kitchen and a neighborhood market. “Being a part of the growth and revitalization of downtown Greensboro, and now hopefully the Revolution Mill, has been tremendous. 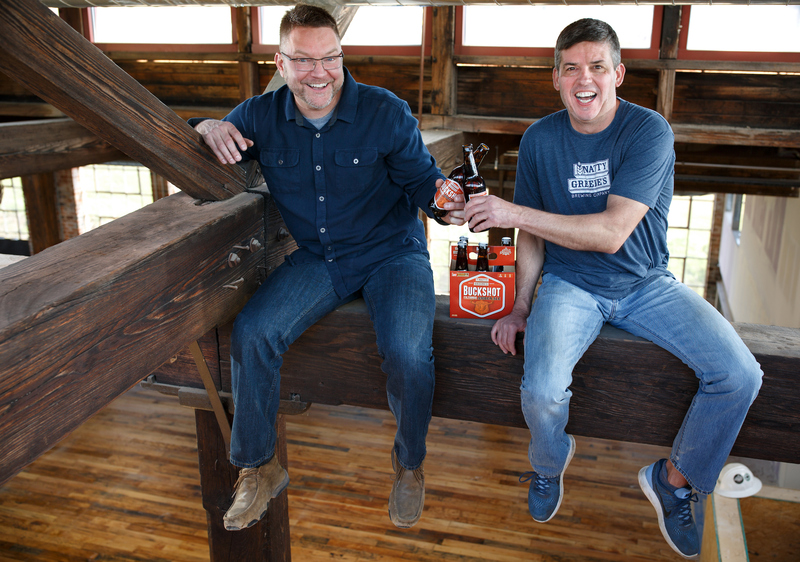 Natty Greene’s, our whole company, was born in Greensboro,” Chris said. Owning a successful bar and brew pub may sound like a dream to many and it is to Kayne and Chris, too. “We love doing our own thing and learning each and every day. This is no hobby though, it’s our livelihood. We love craft beer, the food that goes with it, but most of all, we love seeing people smile and enjoy our product,” Kayne said. “It’s neat for us how long we’ve been here. People move, come and go, but we are lucky to have Greensboro to be a constant in our lives. I can’t imagine us doing this anywhere else. There’s no such thing as an overnight sensation, but we hope we’ve transitioned into a brand that Greensboro can be proud of,” Kayne said.